Traveler Review for Private Tour in Lviv, Ukraine by Tour Guide Iryna T.
Tour: "Streets of old Lviv"
About Iryna T. Message Iryna T.
"About the Streets of Old Lviv"
Irene is a pleasant, knowlegdable and interesting guide. We were in a groupe of seven and we were all very, very happy with the tour. Her English is excellent and she has a warm and winning personalty that made our three hour tour truely a great experience. 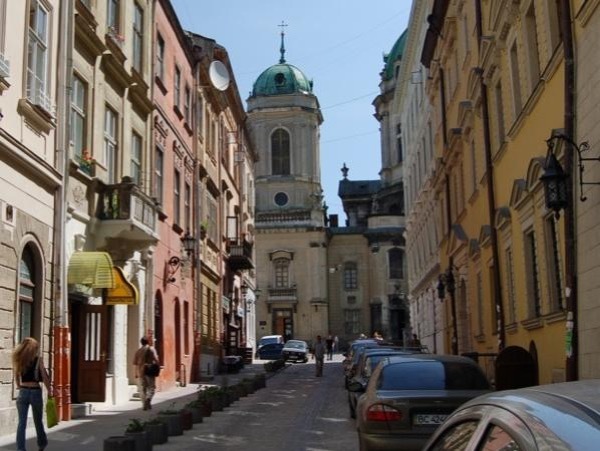 A wonderful introduction to Lviv. TOUR GUIDE RESPONSE: Dear Friends! Thank you very much for all your good words about me. I am very glad, that I was a part of your tour and managed to share my love to my city with you. Warm regards, Irene.